My husband started a joke in our house where, in response to our toddler shouting “NO!” when he says he wants to do something (as 2-year-olds are wont to do), he replies “Yes! Dads’ rights!” I recently started co-opting this little witicism. 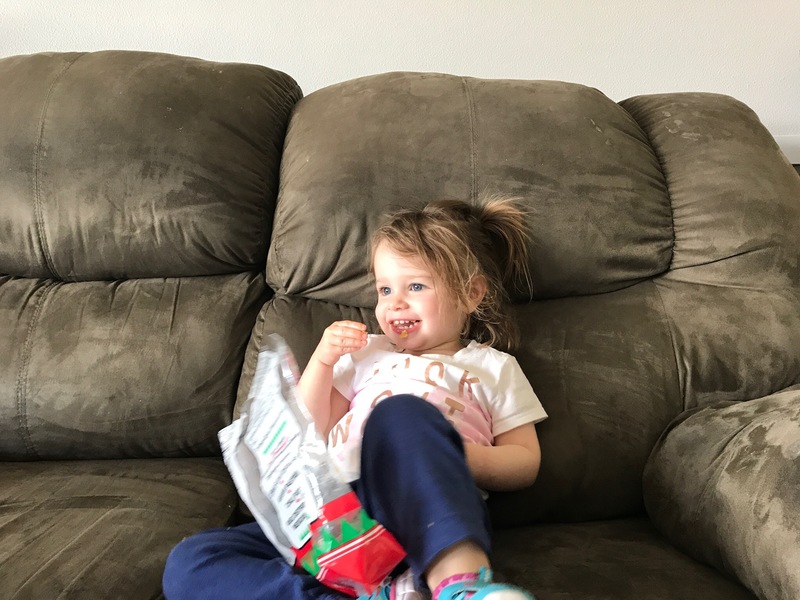 Our Exalted Leader, exercising her god-given right to eat chips on the couch. Who am I to stop her? Hey, at least she shared.